Firm, flexible, sew-in, dense interfacing. Forgiving, will not hold the fold. 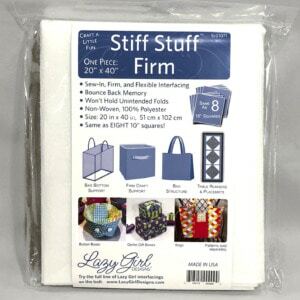 Use in place of fleece or foam to give a bag structure. 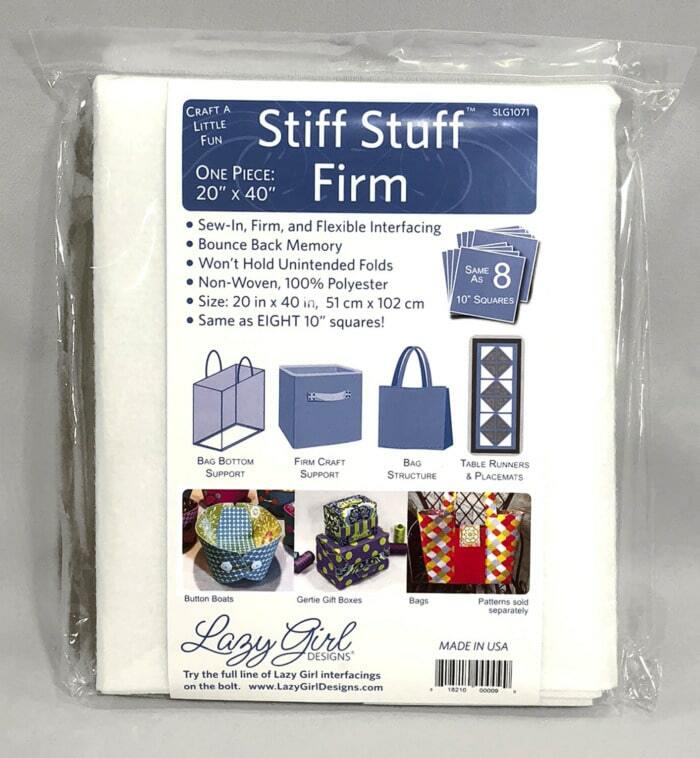 Great for bags, bins, crafts, table runners and placemats. Use with Gertie Gift Boxes, Button Boats, Prezzies, Tray Chic, Gifty Card Holders, Hang On. – Ready to use. Scissor or rotary cut to the size needed. and always use a cotton press cloth. – No pre-shrinking necessary. Machine wash, dry low. – Will make one large bag front, back, handles, and bottom support. – Can be cut into eight 10” squares.